Earlier this year, two Brits were kidnapped in the tropical province of Kwa-Zulu Natal in South Africa. The kidnappers were a couple that are suspected to be involved in ISIS – the infamous terrorist group. Following this horrific incident, the UK issued a travel advisory for all Brits planning on travelling to South Africa, which has been a long-time popular tourist destination. 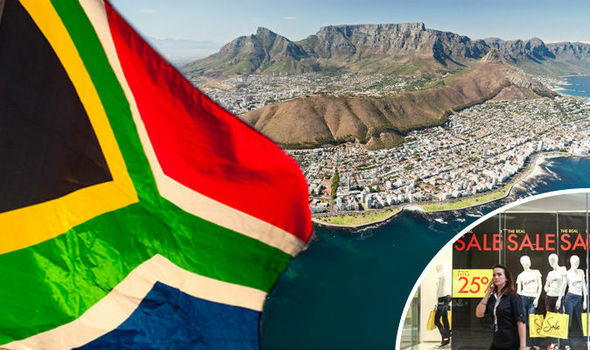 The advisory was updated this past Monday and the information inside warns tourists of possible attacks and kidnappings within South Africa that possibly happen at tourist-filled places such as malls and hotels in South Africa’s more popular cities. On top of ISIS, there are also concerns from threats of persons connected with Daesh (another terrorist group, which was formerly known as ISIL). The kidnapping of the two Brits happened earlier in February and the pair were in fact South African-British nationals. It is thought that SA nationals travelling between SA and war-torn nations pose possible threats when they return to home soil. And that it’s these very people who are potential security threats, as well as peope inspired and influenced by groups like Daesh and ISIS. On Monday, a couple appeared in court for their possible involvement in the kidnapping. The couple, Sayfydeen Aslam Del Vecchio and Fatima Patel, were arrested by the Hawks in Durban, Kwa-Zulu Natal’s most populous city. The couple faces serious charges of kidnapping, and even arson – which was in connection to the couple setting over 5 hectares of canefields on fire back in 2017. The dastardedly pair are in for a wild ride if proven guilty. Kidnappings are by no means uncommon in South Africa and this news comes after an ominous festive season in South Africa were a string of rapes, murders and kidnappings happened all over the country. While South Africa is known for being a dangerous country, tourists should not steer clear altogether. South Africa offers rich cultural diversity and beautiful landscapes and tourists should just be very careful about where they go and how they get there. Asking a trusted local for advice is always a good idea. Residents Scurry To Safety As Bali Volcano Erupts! Japan And Singapore Are The World’s Top New Passport Holders For Travel!